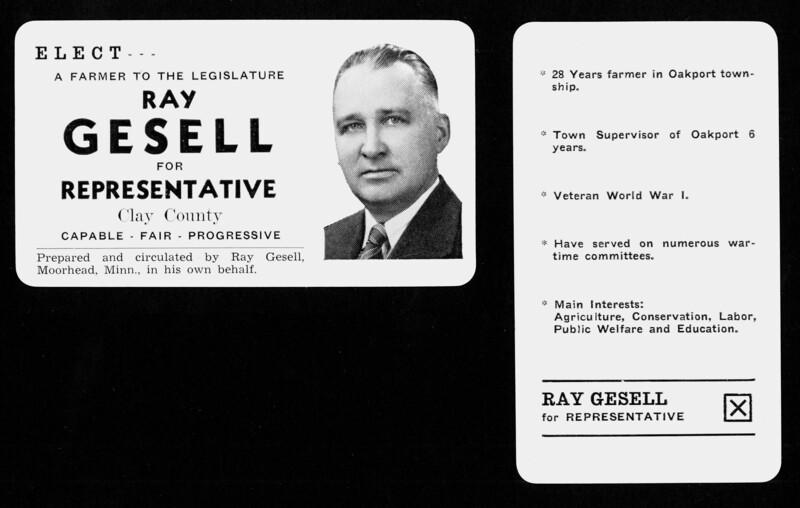 Front and back of a Ray Gesell political campaign card from 1944. Ray Gesell served in the Minnesota House of Representatives from 1945-1951. Again, he found himself following in the footprints of his grandfather Randolph Probstfield, a poor but respected farmer who served as a Minnesota State Senator. This entry was posted in HISTORY and tagged MN House of Representatives, MN Politicians, Ray Gesell on April 21, 2013 by probstfield. for yourself? I wouldn’t mind composing a post or elaborating on many of the subjects you write with regards to here.